Ever get the opportunity to meet Mickie James? Ever gotten a chance to have a photo taken with her or of her and want everyone to see what you experienced? Then you’ve come to the right place Mickie-James.Net, would like to see all your photos featuring the Mickie James and to display them for everyone to enjoy. 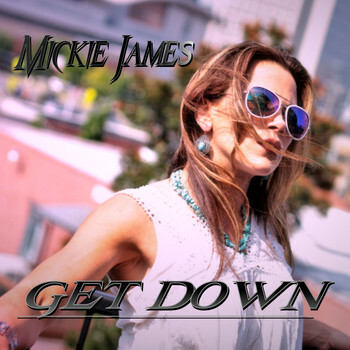 Any photo donations for our photo gallery can be sent to MickieJamesNet@gmail.com. Thank you. As the match starts Nikki Cross goes nuts. A huge brawl breaks out. Cross chases Maria around the ring. Cross tosses Maria over the top for the elimination. Candice LeRae is suplexed on the top rope by Cross. Asuka kicks Cross in the head. Asuka hip attacks both Cross and LeRae out of the ring. Moon hits the Eclipse on Lana. Moon eliminated Naomi. Moon hits the Eclipse on Mandy. Lana eliminates Moon. Sane destroys Lana with a chop. Sarah Logan tosses out Lana. Sane hits the InSANE elbow on Logan. Riott superkicks Sane off the apron. Sane has been eliminated. Logan and Morgan hit a snap stunner on Vega. Brooke toses out Riott and Morgan. Vega hits Meteora on Brooke. Mandy and Deville toss out Vega. Deville eliminates Brooke. James superkicks Rose off the apron. Deville elminatesJames. Asuka, Logan, and Deville are the final three. Asuka and Deville are eliminated by Logan. Logan thinks she has won. Carmella is still in the match. Camella eliminates Logan for the win! Bliss slaps Tamina. Tamina pushes Bliss down to the mat. Bliss rolls Tamina into a pin. Bliss hits insult to injury. Tamina tags in Jax. Bliss tries to run away. Jax runs over Bliss and knocks James off the apron at the same time. After the break, Bliss misses a second insult to injury. Tamina tags in Jax. Jax chokes Bliss in the corner. Jax stink faces Bliss. Jax and Tamina work over Bliss. Bliss finally tags in James. James kicks Tamina in the head. Top rope seated senton by James. James kicks Tamina in the face. Jax tags in and misses an avalanche in the corner. Jax counters James tornado DDT. Jax lifts James up for a Samoan drop. Jax takes Bliss off the top and Samoan drops Bliss and James at the same time. It’s over. Evans says she is here to clean up the WWE Women’s division. Natalya clotheslines Evan over the top but Evan lands on the apron. Evans rolls back into the ring and clotheslines Natalya. Discus lariat by Natalya. Evans misses a moonsault off the top. Natalya dropkicks Evans and Rose. Natalya puts Evans and Rose in a double Sharpshooter. Evans and Rose tap but it doesn’t matter. Morgan gets in the ring and Natalya tosses her right over the top rope. Liv Morgan has been Eliminated. Evans and Rose double team Natalya. Evans decks Rose. Evans hits her bronco buster on Rose and Natalya at the same time. James spin kicks Natalya. James tries to hurricanrana Rose out of the ring but rose almost pushes James over the top. James slides back in the ring and is about to eliminate Rose. Evans saves Rose. Moon immediately hits a springboard splash on James and Rose. Moon struggles to eliminate Rose. James saves Rose (for some reason). Kay walks down to the ring and refuses to get in. Kay watches while the women battle in the ring. Cross runs down to the ring and attacks Kay. Cross pushes Kay into the barricade. Cross goes up top and dives onto everyone. Cross almost tosses Evans over the top. Evans holds onto the top rope. Cross bulldogs James. Cross reverse DDTs Rose. Royce gets in the ring and attacks Cross. Moon surprises Royce with a head scissors. The IIconics try to pry Moon’s hands off the top rope to eliminate her. Moom manages to hold on. Li kicks Tamina in the head. Li hits a spin kick on Tamina. Logan attacks Natalya. Logan boots Moon in the face. Moon falls off the apron but her feet hook the bottom rope to keep her from being eliminated. The IIconics toss out Cross. Nikki Cross has been Eliminated. Flair gets in the ring and most of the heels attack her. Flair suplexes Evans, then Moon. Lacey Evans eliminates both Royce and Kay. The IIconics have been Eliminated. Flair boots Li in the face sending her over the top. Xia Li has been Eliminated. Flair tosses Tamina over the top. Sane dives off the top and elbows Logan. Flair and Sane trade chops. Sane drops the InSANE elbow on Logan. Logan is tossed over the top. Evans and Flair square off. Kanellis yells that they need to pay attention to her. Flair and Evans deck Kanellis. Kanellis bulldogs Evans and Flair. Flair spears Kanellis. Naomi goes right after Rose. Naomi tries to suplex Rose out of the ring. Naomi kicks Rose in the head. Rose falls out of the ring. Rose pulls Naomi off the apron but Naomi puts her feet on the barricade. Naomi leaps off the barricade to the ring steps. Rose grabs Naomi’s foot and pulls her off the steps to cause the elimination. Flair throws Evans over the top. Lacey Evans has been Eliminated. LeRae missile dropkicks Moon. LeRae puts Moon in the octopus hold. Moon gut busters LeRae. Kanellis tries convinces Fox to work with her. Fox dropkicks Sane. Kanellis DDTs Sane. Kanellis stomps on Fox’s hat for some reason. Fox drops to the mat and has a tantrum. Catanzaro hits a dropkick and a ranna on Natalya. Catanzaro hits her handstand head scissors but Fox lands on the apron. Fox back breakers Catanzaro. Vega is dressed like Vega from Street Fighter. Vega and LeRae get in each other’s face. Vega and LeRae tear into each other. LeRae dropkicks Vega. Riott has Logan and Morgan with her. The Riott Squad pulls Flair under the ring. Vega rolls to the outside and hides under the ring. Ruby Riott tosses Fox over the top. The Riott Squad pulls LeRae out of the ring and eats a powerbomb. Alicia Fox and Candice LeRae have been Eliminated. Brooke powerbombs Catanzaro. Riott sends Sane out of the ring. Sane hits the floor hard. Shirai dropkicks Logan and Morgan outside the ring. Shirai hits a golden triangle moonsault to the outside onto the entire Riott Squad. Ripley hits the ring and flapjacks Brooke. Brooke kicks Catanzaro out of the ring. Catanzaro’s feet didn’t touch the ground. Catanzaro walks on her hands and pulls herself back up by the ring post. Ripley press slams Catanzaro out of the ring. Deville destroys Riott with a running knee. Ripley dropkicks Brooke off the apron. Vega peaks from under the ring and laughs at Brooke. Hornswoggle crawls from under the ring and chases Vega. Vega runs into the ring and gets tossed out by Ripley. Zelina Vega has been Eliminated. Bliss hits insult to injury on Moon. Flair knees Bliss in the gut. Flair tries to powerbomb Bliss but Bliss hits a code red. Deville attacks Bliss from behind. Bliss lands a right hand that sends Deville tumbling to the outside. Sonya Deville has been Eliminated. Bayley tries to hit deadly nightshade but Bayley sends Riott over the top. Ripley charges at Bayley but Bayley back body drops her over the top rope. Ruby Riott and Rhea Ripley have been Eliminated. Lana limps out on the stage. She was injured during the U.S. title match. Lana can barely make it down to the ring. Referees and officials check on Lana. On the way to the ring, Jax kicks Lana in the stomach. Jax stomps on Lana’s injured ankle. Jax sends Lana head first into the barricade. Jax gets in the ring and clotheslines everyone. Shirai tries a moonsault but Jax catches Shirai and tosses her over the top. Io Shirai has been Eliminated. Natalya picks up Jax and almost sends her over the top. Jax counters and sends Natalya over the top. Carmella hits a ranna on Jax. Outside the ring, Becky Lynch walks down and pleads with Fit Finley to let her in the match. Finley agrees. Lynch gets in the ring and goes nose to nose with Jax. Lynch decks Jax. Flair tries to toss Lynch out. Lynch hooks the ropes. Missile dropkick off the top by Lynch to Jax. Moon and Bliss fight out to the apron. Moon and Bliss trade strikes. Bliss choke pushes Moon out of the ring. Bayley buckle bombs Bliss. Carmella and Bayley dump Bliss to the outside. Alexa Bliss has been Eliminated. Bayley hits a flying elbow off the top onto Jax. Flair goes up top but Carmella cuts her off. Carmella tries the Stratusphere but Flair hooks Carmella’s legs. Flair almost sends Carmella over the top. Carmella ends up on the apron. Carmella kicks Jax in the face. Flair superkicks Carmella off the apron. Jax picks up Bayley for a Samoan drop. Flair kicks Jax in the head, causing Bayley to fall off Jax’s shoulders to the outside. Flair boots Jax in the head multiple times. Flair picks up Jax on her shoulders. Flair drops Jax on her head. Flair lifts Jax out to the apron. Lynch sneaks up behind Jax and pulls her off the apron. Charlotte Flair has been Eliminated. Winners and Number One Contender For The Championship Of Her Choosing, Becky Lynch! Bliss puts over the Women’s Royal Rumble. Bliss announces some of the Women’s Royal Rumble participants. Bliss’ guess tonight is Nia Jax. Bliss asks Jax who Jax is going to pick if she wins the Rumble. Ember Moon interrupts. Moon says she is tired of sitting there waiting for her shot. Moon says she is going to win the Rumble this Sunday. Alicia Fox walks out and says she is going to win the Rumble. Mickie James comes out and says she is going to win. The Riott Squad, Dana Brooke, Tamina, and Nikki Cross walk out on the stage. Everyone starts to argue. Bliss stands on a chair and tells everyone to calm down. A huge brawl breaks out. The women fight to the back. Bliss announces that she is entering the Rumble. Lacey Evans walks out and says she is going to win the Rumble. Alica Fox and Bayley start the match. Bayley lands a Saito suplex. After the break, Fox is beating down Bayley in the corner. Bayley tweaks her knee trying to do a leapfrog. Fox boots Bayley in the face. Fox goes for a cover but Bayley reverses it and gets the three count. Dana Brooke is next. Brooke attacks Bayley. Bayley can’t stand. Brooke lands her handspring corner splash. Bayley kicks out. Bayley surprises Brooke with the Bayley-to-Belly for the pinfall. Mickie James is up next. James lands a neck breaker for a near fall. James lands her senton off the top. Bayley turns it into a pin. James kicks out. James kicks Bayley in the face. Bayley kicks out. Bayley can barely stand. Bayley lands her top rope elbow. James gets her foot on the rope. Second rope stunner by Bayley. James hits her Mick DDT for the pinfall. Ember Moon hits the ring but James dropkicks her before she can get in the ring. Moon front flips out of an arm drag. Jame boots Moon in the gut. Moon lands a springboard splash. Moon misses a baseball slide. James tries to powerbomb Moon off the apron. Moon hangs onto the ropes. James trips Moon so she lands face first on the ring apron. James dives off the top but Moon hits a high knee. Moon lands the Eclypse for the pin. Natalya runs down to the ring. Moon and Natalya trade pin attempts. Moon kicks Natalya in the head. Tornado suplex by Moon. Moon runs right into a discus clothesline by Natalya. Moon kick out. Natalya gets the pin after an Oklahoma roll. Ruby Riott and the Riott Squad walk out on the ramp. During the break Riott takes control. Riott has Natalya in a guillotine. Natalya power slams her way out of it. Riott knees Natalya in the face. Natalya fires up and lands two snap suplexes. Natalya tries another discus clothesline but Riott counters with the STO. Riott misses her reverse senton. Natalya rolls up Riott for the pin. Sasha Banks hits the ring and lands a dropkick. Corner knees by Banks. Rolling DDT by Banks. Natalya kicks out. After the break, both Banks and Natalya are both down. Natalya lands a basement dropkick for a near fall. Natalya destroys Banks with a clothesline. Banks kicks out again. Natalya puts Banks in the Sharpshooter. Banks does a front roll that sends Natalya flying into the middle turnbuckle. Natalya walks over to Banks. Banks rolls Natalya into a single leg crab, Lance Storm style. Banks rolls Natalya into the Banks Statement. Natalya rolls through and obliterates Banks with a German suplex. Banks hits Meteroa off the top. Natalya kicks out yet again. Natalya counters the backstabber by Banks. Banks tries the rolling DDT again but Natalya turns it into the alley-oop. Banks taps out. After the match, Natalya checks on Banks. Rousey walks down to the ring. Rousey raises Natalya’s hand. Rousey shakes Natalya’s hand. Natalya and Rousey hug. Bliss says she is going to do everything in her power to lead the women’s division. Last week her open forum with Sasha Banks and Bayley didn’t work as she planned. Bliss wants to try it one more time. Banks and Bayley join Bliss in the ring. Bayley asks how long it going to take for Bliss’ cronies to attack them. Bliss says that wasn’t on her and she reprimanded the everyone involved. Banks and Bayley answer the crowd’s questions. Bayley makes a corny joke about making Bliss disappear. Bayley says she wants to win the women’s tag team titles with Banks. Graves points out that there are no such titles. Dana Brooke, Alicia Fox, and Mickie James run down to the ring. Bliss stops the heels from getting in the ring. Bliss tells them this isn’t happening on her watch. If they are so eager to fight they can have a tag match right here, right now. Fox takes Bayley over with a northern lights suplex. Bayley kicks out. The heels take turns working over Bayley. Bayley manages to tag in Banks. Banks puts Fox in the Banks Statement. James breaks up the submission. Banks hits a backstabber on James. James bounces into Bayley, who hits the Bayley-to-Belly for the win. The second RAW semi featured respective rivals settling their issues. Finn Balor and Bayley have had their problems with Bobby Lashley and Mickie James over the weeks and this was the chance to get the number over them and reach the MMC semifinals. Lio Rush would get involved on multiple occasions, leaving Balor to get an ounce of revenge of both him and Lashley. Bayley would hit James with a Belly-To-Bayley and get the victory, setting up a showdown in two weeks against Jinder Mahal and Alicia Fox. Rousey is all over James. Rousey unleashes a flurry of punches in the corner. The referee pulls Rousey away. James kicks Rousey in the face. James lands a few kicks. James smacks Rousey in the face. James puts Rousey in a sleeper. Rousey blocks a right hand from James. Rousey Judo throws James all over the ring. Rousey hits three Piper’s Pits on James. Rousey puts James in the Rousey Armbar. James taps out. Winner and STILL Raw Women’s Champion, Ronda Rousey!